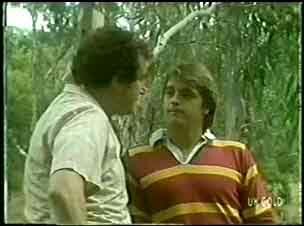 Max explains to Shane he suspected Maria only married him out of gratitude out of helping her family. Their separation before Danny was conceived happened on one of their wedding anniversaries when Max was unhappy with a dress that Maria was wearing. 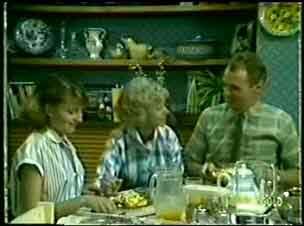 Max stormed off to the pub and Maria left Ramsay St, leaving Shane to be looked after by Helen. Max explains that when Maria returned they learnt she was expecting Danny and it was only recently she told him Danny was conceived with a man she met while they were separated. Max explains he cannot reconcile with Maria for these reasons but he still loves her. Danny returns home early from school due to a teaching strike. Maria comments how Max is not picking up his messages from the answer machine for work from the house. Danny tells her Shane could pass on the messages now he is seeing Max again. Danny asks her if he can have a party to celebrate his 16th – Maria tells him money is tight but she'll think about it. Danny and Scott complain about the teaching strike. Scott asks him for more money but cannot tell him the reason why. Danny leaves to run an errand for his mother – Scott asks Maria if he can borrow $A20 but Maria is embarrassed. When Scott leaves after Helen requests he go home, Maria tells her of Scott's request. She also tells her she would like to earn some money for herself by working like Helen at the Community Justice Centre. Danny arrives back and Helen asks him if he knows why Scott wants money. Danny admits no. After Helen leaves Danny comments to Maria he thinks the reason is Kim Taylor. Jim and Helen question Scott why he wants to borrow money. Scott tells them he hasn't got a problem and storms off to his bedroom as Paul arrives home. Helen tells Scott they are only concerned for his welfare and she will lend him the money. 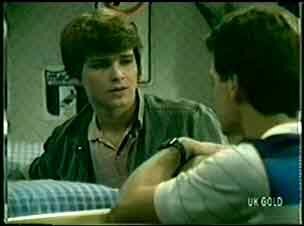 Paul comes into the room and after Helen leaves warns his brother he can't keep borrowing to give to Kim or he faces Jim discovering the truth. Scott tells Paul he owes $A90. Drunk, Mr. Evans gropes Daphne – when she threatens to take him to court he only laughs telling her no one will believe her, as she is a stripper. Daphne tells him she will sue – he tells her he'll fight her all the way. Des tells Daphne it'll be worth her suing Evans despite using her past as a defence. Back at the office Daphne tells him she has no intention of suing him as she is quitting the job – Daphne walks out. Paul lends Scott more money for Kim. Julie complains she can't sell her second concert ticket to anyone. Helen suggests Danny or even herself buying from her – When Julie tells her she's too old Helen replies she wants to go! Des isn't happy with Daphne's decision to not follow up with her complaint against Evans and her refusal to explain why. Daphne's grandfather Harry Henderson arrives having returned from South America. 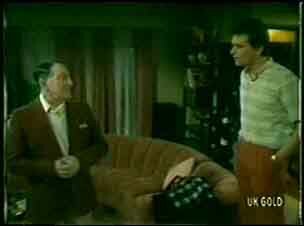 Des has to pay for his taxi and the driver drops off Harry's parrot. Daphne, Des and Harry arrive home from a restaurant. Having already paid for the meal Des then gives up his bed for Harry to sleep in. Jim apologises to Maria for revealing to Shane the truth about Danny's father. Maria accepts but tells him she fears Shane will never talk to her again. Jim tries to be positive suggesting it could help reunite them now the truth is known. Jim also apologises to her regarding Scott asking her for money. Scott leaves the house early. Helen and Julie return having both enjoyed the concert. Jim questions Paul over the money Scott keeps asking for and tells his son he hopes if Scott was in trouble, that Paul would tell him. Paul begins to feel guilty at hiding the truth from Jim.